Vancouver Water Adventures treat guests to some of Vancouver’s most iconic sights including English Bay, Stanley Park, Granville Island and the Seal Colony. 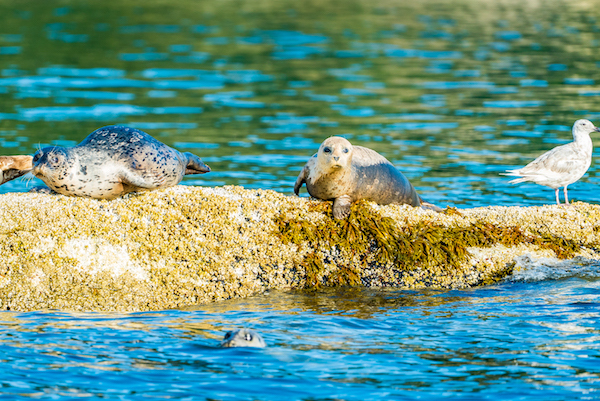 Home to over 150 seals, Vancouver Water Adventures give guests the perfect vantage point to get up close and personal. Take a seat aboard their Zodiac boat for an exhilarating 90 minute tour of the city. Vancouver’s scandalous history of corruption and bootlegging is shared on the ‘Prohibition City’ walking tour. Guests are taken back in time as they journey through Victory Square, Chinatown and Gastown – hearing tales of opium dens, mobsters and vice. Forbidden Vancouver lead guests to some of Vancouver’s most historic sights and buildings but share the stories never before told. It’s amazing how much of a city can be covered on two wheels! 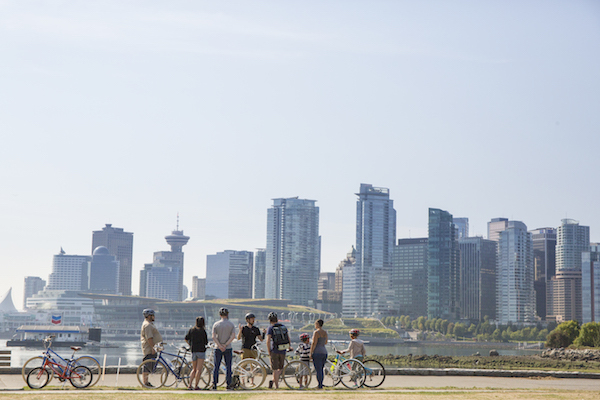 Cycle City offer the complete sightseeing tour from the ecology of Stanley Park, to the food-lovers paradise Granville Island. Covering 22kms plus history, culture and fun-facts about Vancouver – it’s the perfect way to get your bearings in a new city! 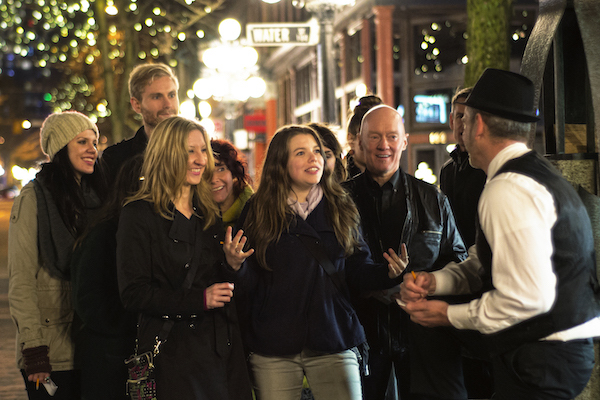 Vancouver Foodie Tours offer guests a feast for the mind as well as the taste-buds on their ‘Gastronomic Gastown Tour’. 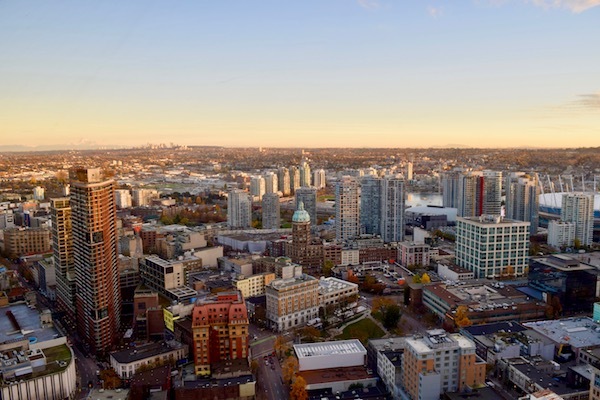 From Gassy Jack’s statue to Blood Alley and the famous Steam Clock, explore Vancouver’s most interesting neighbourhood whilst enjoying its most exciting restaurants! 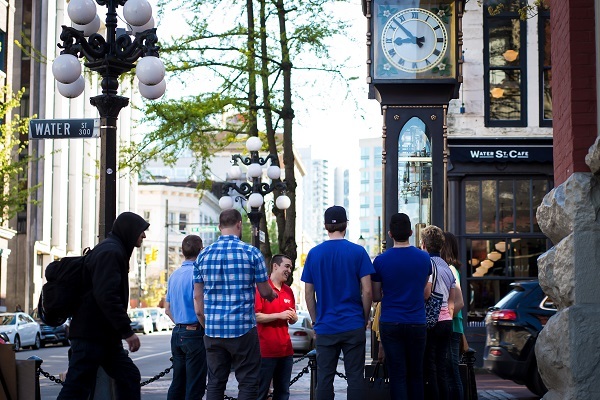 Carefully selected tastings served with history and fascinating stories, give you the true flavour of Gastown. When sightseeing in a city, you’ll always have the camera ready but might not know how to take a great picture. 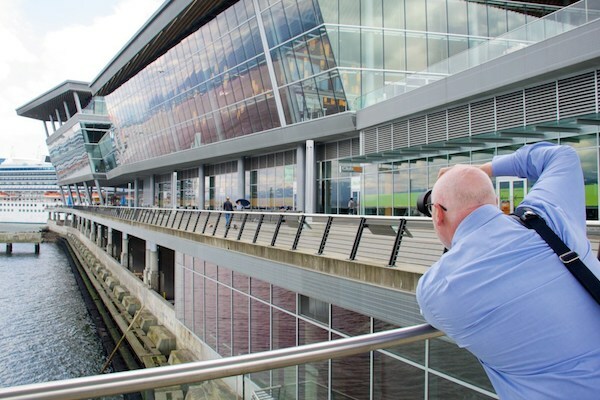 Showing you the best angles of the Five Sails, downtown Vancouver and picturesque Canada Place, Vancouver Photowalks will teach you how to get the most out of your camera. Prepare to get snap-happy as you explore Vancouver’s waterfront! Want to hit ALL the Vancouver hot spots in 1 day? Hop on board a comfortable mini-coach for a 4 hour fully-narrated tour. Guests stop at all of Vancouver’s top sight-seeing spots with admission up the Vancouver Lookout tower included. A great way to cover the city’s “must-see” spots when time is limited. For those who love to run, why not join a running city tour? Learn about False Creek’s native fishing history to the sawmills and shipbuilding industry. Plus run a casual 7k while you’re at it! 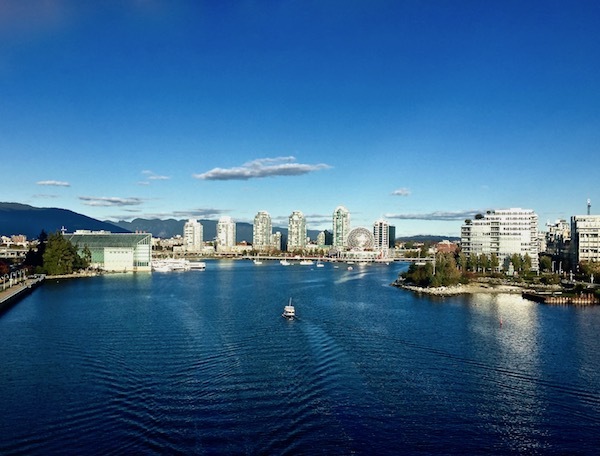 Run through Olympic Village to Granville Island and enjoy beautiful False Creek along the way. Harbour Air’s 30 minute ‘Vancouver Classic Panorama’ tour departs from Coal Harbour, one of the world’s busiest seaplane terminals. 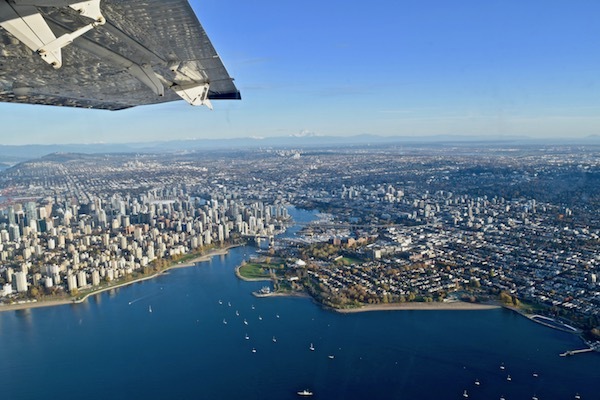 Soar above the city and take in Vancouver’s landmarks, beaches and North Shore mountains. Guests enjoy views of the city, quite unlike any other, plus the undeniable thrill of taking off and landing on Vancouver’s waters! Learn the history of Vancouver’s temperate rainforest, Stanley Park and take in sights such as the Totem Poles, Lions Gate Bridge and Deadman’s Island. 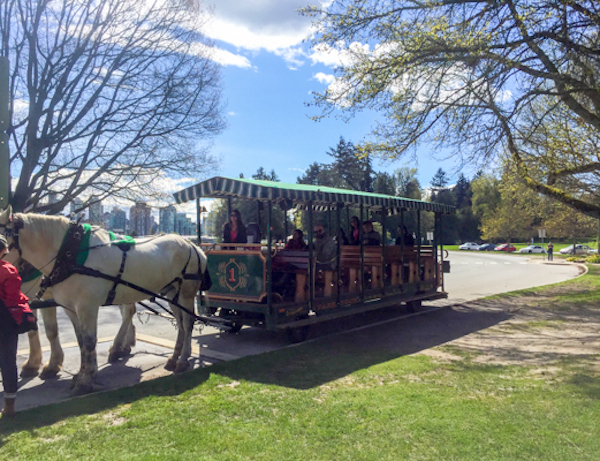 This fully-narrated tour takes a leisurely pace through Stanley Park. Sit back and soak up the history of Vancouver’s #1 place to explore.